I really wanted to share my Top 5 drugstore products as proof that you can find amazing products for a reasonable price. As some of you know, I have been a Make-Up Artist for 3 years now and a massive perk of my job is to test out products. I like to try out as much as I can on myself before I decide if it's good enough to put it into my professional make-up kit. So what better place to share with you some of my favourite products every now and then than on the beauty section on my blog! This is by far my favourite drugstore under-eye concealer, it feels really lightweight on the skin and doesn't crease even without setting it with powder. THAT IS SOME MAGIC SH*T! I really love the sponge applicator that disperses the product through the sponge as it is really easy to apply and blend and I feel like I don't use as much product with it which means less being wasted!! 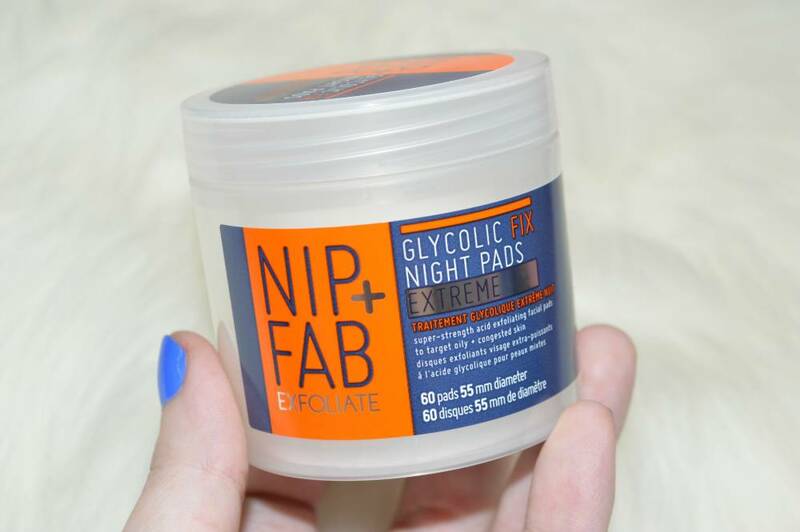 A little more pricey for a drugstore brand however, you do get 60 pads in each tub which is awesome as you only need to use 1 pad 1-2 times a week. I was using these little bad boys for around 2 months and my skin took really well to them. My skin appeared to be smoother, clearer and almost plump every morning. The great thing about these lovely's is that they act as an exfoliant so it helps a duller complexion look brighter! They are also great for blocked pores which is one thing that just physically hurts my soul, they are the biggest pain in my arse and its a constant struggle to try and find a great treatment for them until I came accross the night time pads! Something you probably wouldn't expect to see on this list but honestly such an amazing duo. 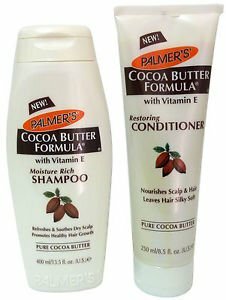 I've used this little combo for my hair for around 6 months now and it honestly leaves my hair feeling so healthy and silky smooth. It also smells INCREDIBLE which my boyfriend definitely agree's with (shampoo & conditioner thief) know what I'm saying girls?! But anyway this hair care product is an absolute holy grail for me and I don't really see me changing them any time soon! I've recently seen on Superdrug that they have some more hair care products that I am interested in trying out! Also another strange product you probably didn't expect to see listed, however I bought two of these facial sprays last year for my trip to Florida and I still have one going strong which is great! I absolute love this facial spray as a drugstore spray as it's just so refreshing and cooling on the skin, they are so ideal to take away on holiday when your sunning it up and need to cool down. I am definitely a sucker for facial sprays whether it be a setting spray, beauty elixir, toner spray or any other facial spray you could throw at me. Regardless, I will most likely be obsessed with it! 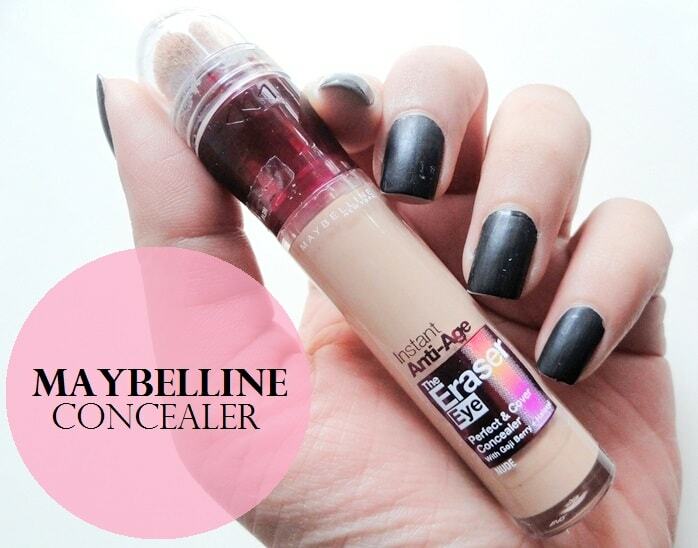 If your feeling crazy you can use this on top of make-up I know I do and it still doesn't budge. Sometimes I just feel by doing this it adds some more moisture to my skin and why wouldn't I want that! 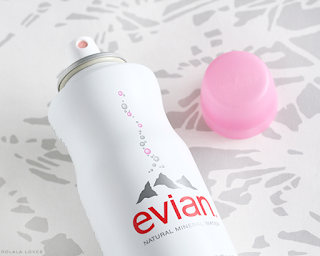 Pro Tip - Keep a spray in a fridge and have a refreshing cold spray throughout the day whether your on holiday or not definitely give it a go! A strong contender in this list for me! I remember years ago when these guys first came out and everyone went crazy over them and I was like I reaaaaaally need one of those because they look so cute! I have had multiple flavours over the years, I think I have had: Strawberry Sorbet, Passionfruit, Summerfruit and my new favourite Fresh Grapefruit with SPF 30. 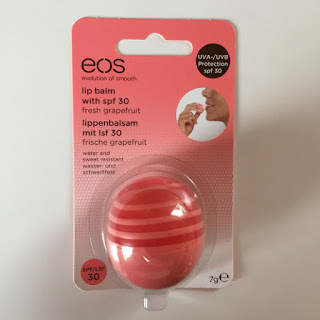 I got my Grapefruit balm last year at Walmart in Florida and I just love the flavour of this its the best and it obviously is an added bonus by having SPF 30. I love these lip balm's so much as they're just so handy to have and easy to just throw in a handbag and your good to go! So yeah, my collection of EOS lip balm's is definitely growing! So that sums up my Top 5 Drugstore Beauty Products! Keep an eye out for more Top 5's.